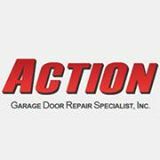 Nathan was extremely knowledgeable, pleasant to deal with and solved our garage door operating unit problem. Should we have any problems in the future we would entrust Nathan to handle the issues. Thank You Nathan!!! !